Think about your family. Is someone always at the pokies on payday? 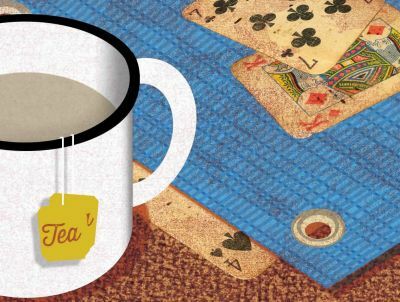 Are money worries made worse by gambling? In your community, how many times have you seen someone spend all their money on gambling? While working in more than 200 Aboriginal communities, I’ve heard an overwhelming number of Aboriginal people say gambling is causing significant problems for so many people they know. So what are we doing to help our people? Through studies undertaken by the Centre for Gambling Education and Research, at Southern Cross University in Lismore, we know the rate of problem gambling among Aboriginal people is much higher than the one to two per cent found in the Australian population. These studies, measuring problem gambling among different Aboriginal groups, have found rates of between 15 and 20 per cent. Isn’t it time we recognised gambling as an issue for our people? Historically, Aboriginal people have been told what the issues are and then told the answers, without any community consultation. Interventions have been imposed and generally failed to deliver any improvements. Gambling is an issue where that model is changing, but more needs to be done. An overwhelming number of Aboriginal people say gambling is causing significant problems for so many people they know. Unfortunately, many Aboriginal people lack financial literacy and budgeting skills, often living payday to payday. Also, many people are used to not having money, and being broke is normal, so there is no trigger to tell a gambler they may have a problem and need to seek help. The yarn about gambling in our communities seems too sensitive. It is a topic often ignored by our people and services. Maybe it is so normalised and accepted we can’t see the problems it is causing. The true impact of gambling needs to be understood, particularly its links to relationship problems, family violence, alcohol abuse, drug abuse, mental health, physical health, spiritual health, crime and financial hardship. The issue of gambling harm needs to be discussed and acknowledged more broadly, more openly, without blame or shame. Currently, there are gambling and financial counselling programs around Australia, but only a very small percentage of Aboriginal people have used this form of treatment. These services need to improve their community engagement and consultation practices. Building meaningful and genuine relationships with the community must be a priority. Funding bodies also need to acknowledge the importance of this, so services can contribute to education, awareness, community ownership and, finally, a collaborative approach to tackling the issues. Historically, Aboriginal people have been told what the issues are and then told the answers, without any community consultation. Some services need to consider how Aboriginal people might perceive them. Often, hard questions must be asked. Why aren’t Aboriginal people visiting us or calling our number? Do Aboriginal people know our service exists and do they know what we do? Research suggests that most services don’t ask these questions and Aboriginal people don’t have a high awareness of how to seek help for gambling problems. Together, we should be discussing strategies to address gambling harm within Aboriginal communities. Are there ways to help beyond offering gambling counselling? We could be developing a range of treatments and therapies linked to cultural and healing programs. Aboriginal people need alternative treatment options, both Aboriginal-specific programs and Non-Aboriginal programs. We have to review our screening and assessment procedures to ensure Aboriginal people feel comfortable and culturally understood. We need to reflect on our approach and our therapies and question why most Aboriginal people do not engage with or complete treatment programs currently available. We know that a person with a problem will try and confront the issue in private, followed by speaking to a family member or friend. They may then seek help from an organisation. Would they be more inclined to seek help if more Aboriginal people worked in the health and gambling help sectors across Australia? As a community, should we be better at supporting someone who may have a gambling problem? We could be developing a range of treatments and therapies linked to cultural and healing programs. I manage the New South Wales Aboriginal Safe Gambling Services, which coordinates the Warruwi Gambling Help program. Our focus is on creating awareness of gambling risk and promoting safe gambling. In 12 months, we have reached more than 30,000 Aboriginal people through running Aboriginal gambling workshops in communities, organising and participating in community events, managing a free information, education and support phone line (1800 752 948) and identifying safe gambling ambassadors throughout New South Wales. Most importantly, we work with communities to develop community action plans for ongoing activities for their areas and provide $5000 to either support an existing program or develop a new strategy to raise awareness of problems associated with gambling and promote help-seeking. We aim to bring Aboriginal communities and service providers together to achieve real change in our communities. Gambling is often seen as an individual problem, not a community concern. But as the issue of gambling harm continues to grow, our people are feeling the impact more deeply. As risks to community wellbeing become greater, it’s time we changed our view of gambling harm and our response. Ashley Gordon will be speaking at the Victorian Responsible Gambling Foundation’s Many ways to help conference 2016, running from 17–19 October in Melbourne. For more information, email PDC@responsiblegambling.vic.gov.au or call (03) 9452 2668. This fifth edition of Inside gambling looks at how sharing stories of personal experience of gambling harm can be an important part of recovery. More broadly, it can also help reduce stigma and build community awareness about the risks of gambling. 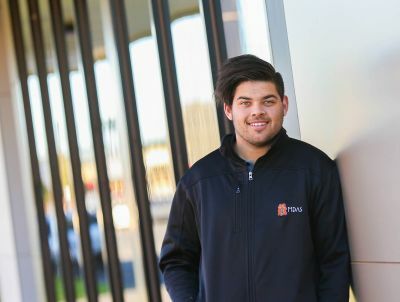 Tyrone Mitchell talks about how gambling pervades his social life in regional Victoria and how shocked he thinks his friends would be if they knew how much they’d spent on gambling. Judy Avisar tells of the healing and educative power of performance in the theatre project Three sides of the coin. Stand-up comedy was the circuit-breaker for comedian Daniel Connell, focusing his attention away from gambling and giving him a platform to tell his story. Korina Waitai shares the journey of recovery that made her the strong and resilient woman she is today. 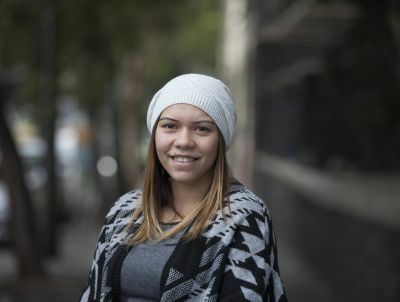 Gambler’s Help financial counsellor, Chantelle McGuiness reflects on some of her experiences working with Aboriginal communities. Ashley Gordon is an Aboriginal Australian and descendent of the Gamilaroi people. He has been a gambling counsellor for seven years and manages NSW Aboriginal Safe Gambling Services, including the Warruwi Gambling Help program. Ashley is also a researcher with Southern Cross University and is on the Federal Ministerial Expert Advisory Group on Gambling.